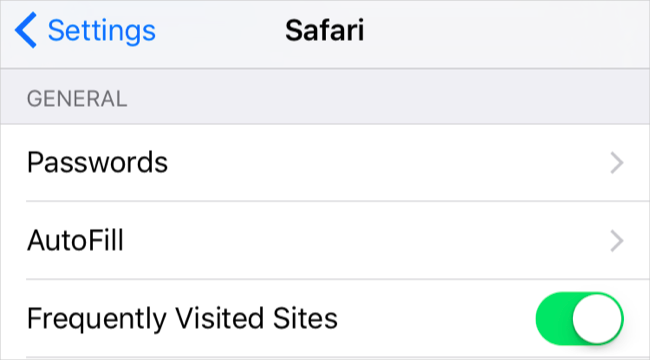 If you don’t want other people see the frequently visited sites in Safari on your iPhone, you can remove them with the steps below. Download PhoneClean to protect your privacy by clearing history from Safari after reading this tutorial about how to hide frequently visited sites in Safari on iPhone. Normally, when we open a new tab in Safari, we’re able to see our Favorites along as well as a list of frequently visited websites. The latest iOS 9 offers some improved features like Siri Suggestions in Spotlight Search, Low Power Mode, or Quick Type on iPad. One of these new features is how to disable frequently visited websites in Safari. In this post, we will show you how to make it with two options. Step 1. Go to Settings app on your iPhone. Step 2. Scroll down and choose Safari. Step 3. Under GENERAL settings, turn off Frequently Vested Sites. 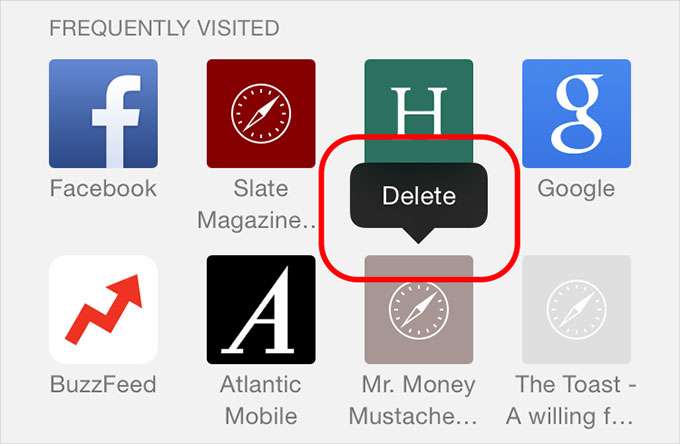 If you just want to delete an individual frequently visited site from Safari, you can also do that with steps below. Step 1. Open Safari on your iPhone. Step 2. Tap the double square tab on the bottom right of the window, and tap the “+” sign icon to get a new tab. Step3. Here, you’ll see your Favorites and below that a list of Frequently Visited sites. Step 4. Long press the icon until the Delete option shows. Tap on it to remove the site. It is easy to hide or delete the frequently visited sites in iPhone Safari with the above instructions. 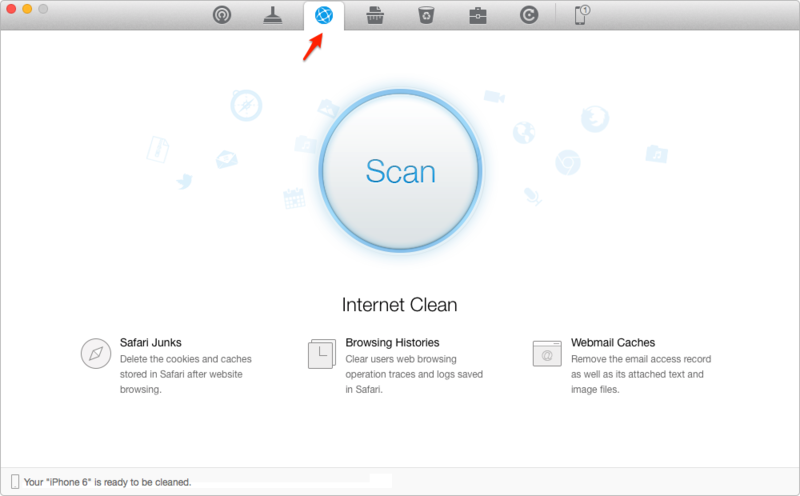 And it is also recommended to use PhoneClean to clear out personal info like Safari browsing history, messages, notes, contacts and more.